401 Richmond is basically heaven for any artist looking for workspace, inspiration, a new instrument or a gallery to show their work. The building at the corner of Spadina and Richmond in the heart of the Fashion District is a sprawling network of galleries, publishing companies, studio space, offices, and other creativity-inspiring nooks, like a music shop and a book store. 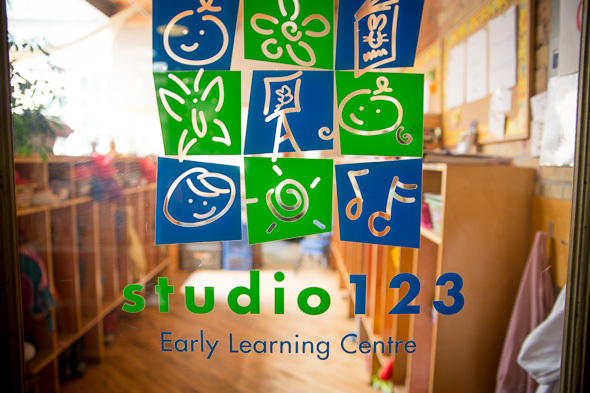 It was purchased in the '90s during the real estate recession, and since then, it's been a dedicated affordable work space for artists and other creatives working in Toronto. The initial stretch of 401 Richmond was completed in 1899 for Macdonald Manufacturing, a factory producing industrial tin lithography. As the need for more space grew, additions were implemented until 1923. There are currently 150 tenants, with 12 galleries, two independent shops, a daycare, and 30 artists' studios. There are also graphic design offices, clothing designers, non-profits, filmmakers, arts organizations, and communications and publishing firms operating out of 401 Richmond. A few fashion designers, such as Pam Chorley and Susan Dicks, have their studios here, and Cinecycle is attached to the building as well. Tenants are chosen very carefully, with preference given to those who could use the below market rate rent prices, and who might not have an opportunity to open up shop otherwise. Because of that, the wait for space in this building could be pretty extended. They used to keep a waitlist, but now they just ask that those interested in space make a point of keeping in touch to see if any coveted space has opened up. Here's a round-up of some of the key spots inside 401 Richmond. The Roastery (with a sister location in Liberty Village) is a homey cafe on the first floor, with seating for about 35. The exposed brick and beams that adorn the rest of 401 Richmond are present here, too, and there's plenty of sunshiney light coming in. Aside from coffee, they sell classic sandwiches, like ham and cheese and tuna, for a mere $5.98, as well as a variety of fresh-squeezed juices and other treats. The Roastery is an ideal spot to either meet up with friends for a coffee or camp out for the afternoon and work. Musideum is possibly the friendliest little music shop ever. 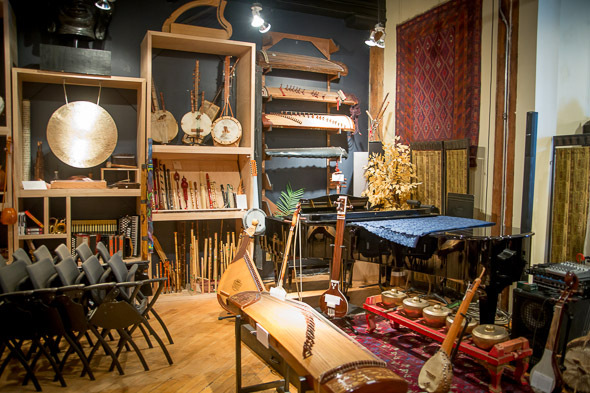 The walls are crowded with drums and various wind instruments, and its staff invite customers to come in and test out the instruments for themselves. Musideum also operates as an intimate performance space, with world, jazz, and Indian classical music shows, among others, happening each day of the week (except Sundays). 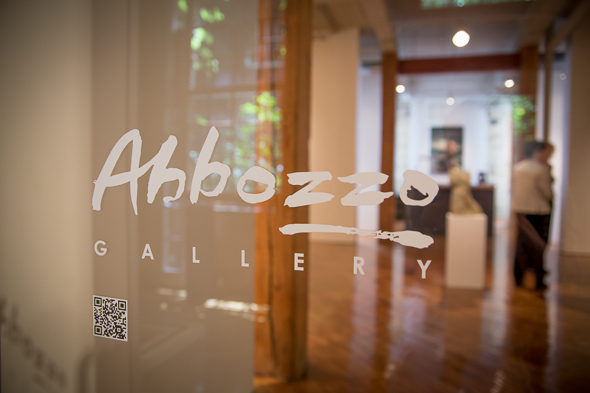 Abbozzo is the only commercial gallery at 401 Richmond. It's a perfect, breezy gallery space featuring all Canadian artists, most of whom hail from Ontario. The space they occupy used to be home to Wynick/Tuck gallery, but Abbozzo, a transplant from Oakville took over in May. Though new to Toronto, the gallery has been in operation since 1993. Talents such as David Blackwood, Olexander Wlsenko and Arnold Zageris can be found within the narrow confines of this gallery's walls. 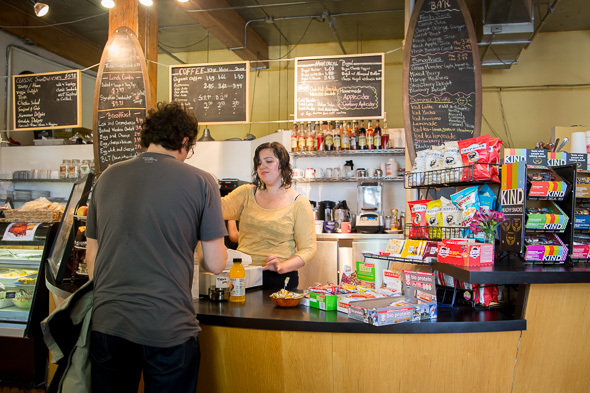 Swipe is a charming independent bookstore on the ground floor of 401 Richmond, outfitted in the building's characteristic brick and beam, with bright kelly green accents. 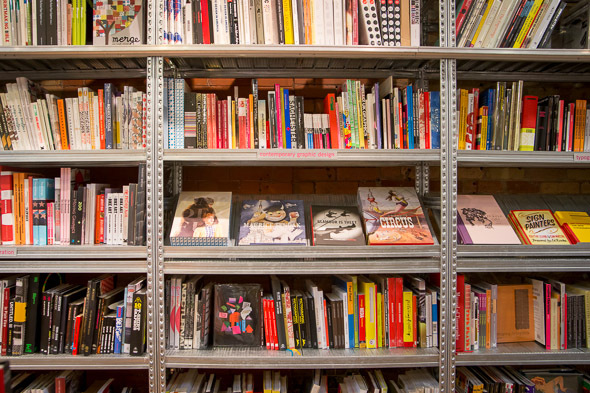 Here, you will find books on architecture, urbanism, and design. Sweet items on offer include pocket copies of 1984 (in case of emergencies), Moleskine notebooks, pottery, and a variety of other gifts and stationary. Open Studio is one of those galleries in which one if forced to wander around, silently staring with one's mouth dropped open in wonder. 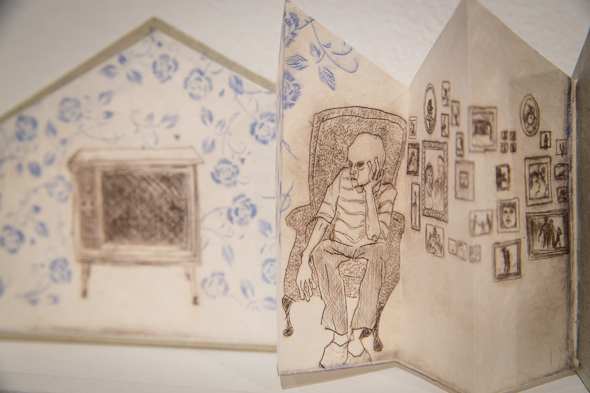 During a recent visit, I was privileged enough to see some of the most whimsical prints imaginable by Rebecca Cowan, Catherine Farish and Jerry Silverberg. The visit lifted the energy of my whole day, and the works are not something I will soon forget. Gallery 44 is, perhaps, the most alluring gallery I have ever visited. During a recent visit, an exhibit of huge photographs featuring hot naked men graced the walls. Lots of them had awesome gay subject matter, too, such as two beautiful men canoodling. Is there a prettier sight imaginable? No? That's what I thought. After Open Studio, this place is 100 per cent in need of a visit, provided their exhibits are always this great. 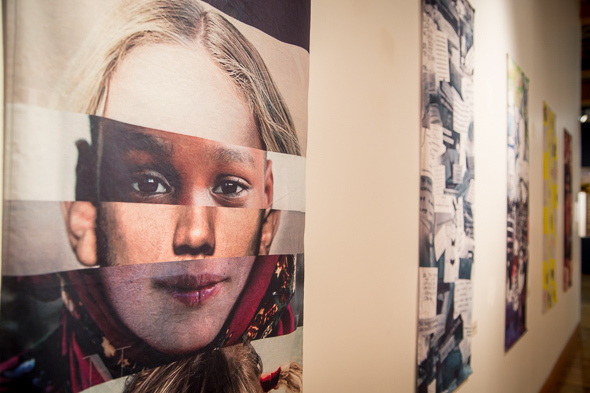 Urbanspace gallery utilizes a part of the building's massive system of hallways that may otherwise have gone to waste. The space focuses on urban issues that somehow relate to Toronto, like specific greening initiatives, or diversity as a key part of our city's identity. 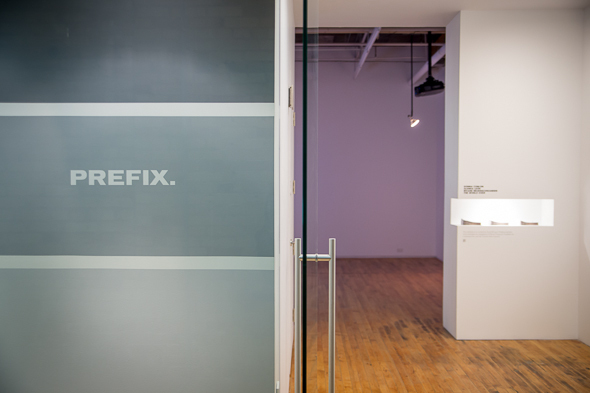 Prefix is a photography magazine based out of 401 Richmond, and their office also acts as a small gallery upon entrance. There are photos displayed, as well as sound/video installations, and it's open to the public (but don't try to take photos). Do you have a favourite spot at 401 Richmond? Give it a shout-out in the comments below.